The Apple iPhone X is powered by hexa-core Apple A11 Bionic processor and The phone packs 64GB of internal storage cannot be expanded. As far as the cameras are concerned, the Apple iPhone X packs a 12-megapixel primary camera on the rear and a 7-megapixel front shooter for selfies. 3. Select your carrier. We’ll work with your current carrier to activate your new iPhone so you can keep your existing number and rate plan. 4. Select You Color and Design. Space Grey or Silver. 7. Now it will ask How would you like to pay? 8. Select According to your Budget and choice. You can Pay monthly with no interest or Pay in full. 9. Done. Now you have preorder iPhone X Online. T-Mobile will open preorders on the same days as Apple, and will provide different pricing depending on your down payment. You can pre-register here. Verizon has set up an email notification system, with their preorders opening at 3 AM eastern time. The lines will be long, but you won’t be beholden to websites that are sure to crash. Currently, only Apple stores are sure to carry the phones, but Target, Best Buy and other retailers could open preorders in the near future. 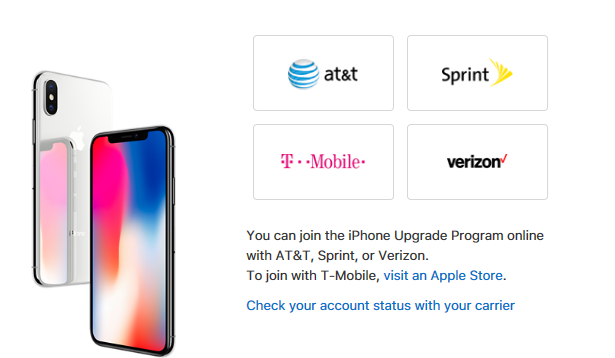 Since the traffic on the Apple.com site is expected to be massive when the pre-ordering starts at 12 AM Pacific, your best bet is to try placing the pre-order using the Apple Store app. Make sure that your Apple-ID is kosher and working on the Appstore app before the pre-order time. The most relaxing way to get your hands on the new phone is through the Apple Store iOS app. Just Install the App and Preorder iPhone X Online. Through iTunes, you can claim your uber-powerful handheld of the future with a few simple taps of the screen. So in this post we have provided you 4 ways of How to preorder iPhone X. Hope you find this post useful. The preorders for the iPhone X begin on Friday, October 27th at 12:01 AM. so be ready.